This year's flu season is now in full swing. Nationally people are beginning to be hospitalized and die due to the flu, which is in all parts of the country and still on the up slope, public health agencies report. At least one flu expert thinks anxiety will rise soon as this year's flu strain takes a higher toll on children and middle-age adults. North Carolina has reported 13 deaths according to the state's Department of Health and Human Services. Hidalgo County in Texas has had six deaths and two people have died in Salt Lake City, according to Utah health officials. The flu season began most heavily in the South but has now spread nationwide with cases increasing in all states, said Joseph Bresee, a flu expert with the Centers for Disease Control and Prevention. Nationally six children have died, this week's CDC report shows. This year the predominant flu strain in the United States is H1N1, the same one that caused the international pandemic in 2009-2010. The CDC estimates that 284,000 people died worldwide during that flu season. "Based on what we're seeing so far, this year will be a very different picture than last year," said Michael Osterholm, director of the Center for Infectious Disease Research and Policy at the University of Minnesota in Minneapolis. In 2012-2013, H3N2 was the dominant flu strain. It tended to cause serious illness and deaths in older people. With H1N1 the main strain this year, "we fully expect to see many more cases in younger children and middle-aged adults," Osterholm said. "Mark my word, by the end of next week we'll probably see some fear and panic as it starts to hit kids," he said. 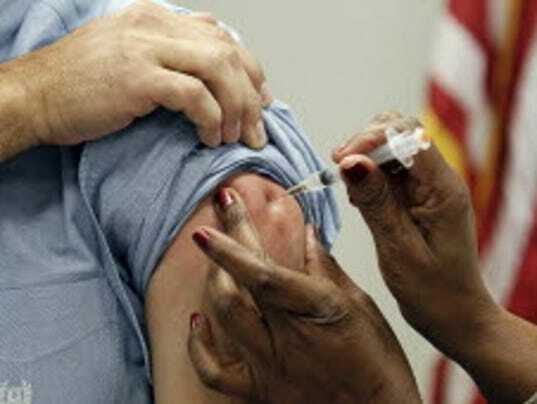 This year's flu vaccine contains the H1N1 strain and should offer good protection. There's still time to get vaccinated and protect yourself and your family, Bresee said. "It's too early to tell how severe it's going to be but we're still on the up slope of the flu season, so what we can expect is more flu, more intense disease and more deaths over the next few weeks," Bresee said. The H1N1 strain has not had time to develop much resistance to antiviral drugs such as Tamiflu. People who are sick, especially if they're in a high risk group, should see their doctor if they suspect they have the flu so they can be treated, he said. That includes the very young and the very old as well as people with chronic medical conditions such as asthma, diabetes and congestive heart failure. Studies show the drugs work best when begun within two days of getting sick but they can still be helpful if started later for those in high risk groups. However, patients should allow their physician to determine if they're at high risk and need antivirals, said Rita Obey, director of public information for Harris County Public Health and Environmental Services in Texas. The state has had several flu-related deaths this so far this season. While the H1N1 is the predominant strain in the United States and Canada, it is not worldwide. "Europe is seeing lots of H3's and influenza B virus," Bresee said.